Abbotsford – The University of the Fraser Valley’s fledgling women’s rugby sevens club makes its hosting debut this weekend, as the Canada West Sevens Series comes to town. The tournament, the second of three in the CW series, will be played at Abbotsford’s MRC Sports Complex (Field 3) on Saturday and Sunday. A complete schedule is below. The event will bring together seven teams: The Cascades, UBC Thunderbirds, Victoria Vikes, Alberta Pandas, Calgary Dinos, Lethbridge Pronghorns, and Thompson Rivers WolfPack. 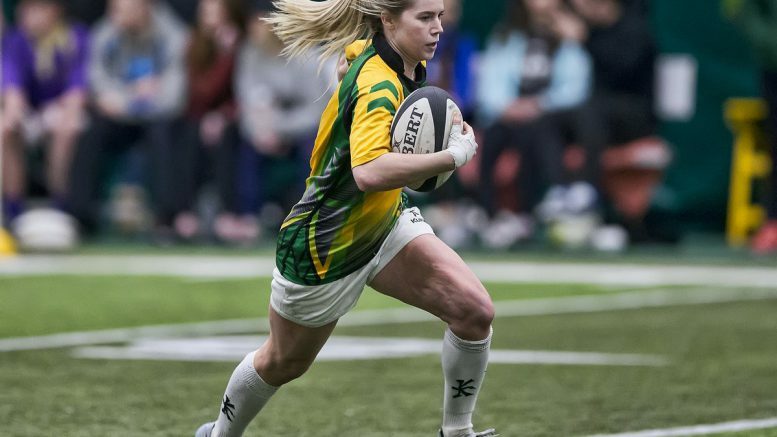 It will be the first-ever Canada West Women’s Rugby Sevens Series appearance for the WolfPack, while the other six programs have participated since the series launched in 2017. 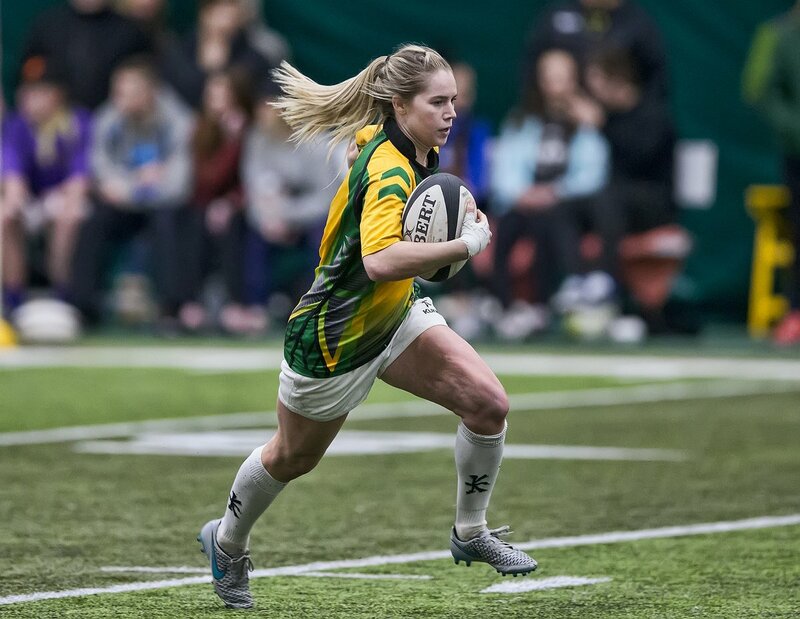 The Canada West Women’s Rugby Sevens Series opened Jan. 20-21 at a tourney hosted by the Alberta Pandas, and will conclude following the UFV event with a stop in Victoria, Feb. 24-25. The Vikes lead the series with 10 points after going a perfect 6-0 in Edmonton, and they’re being chased by Lethbridge (8 points), Calgary (6), UBC (4), Alberta (2) and UFV (1). The Cascades, in their second season of existence, will be seeking their first-ever victory in the series. Their roster is being bolstered this week, as Meghan Wellis – UFV’s captain last season – returns to the lineup after missing the Alberta tourney due to injury. “The girls are obviously very excited to have that home support and to be bringing all the other universities to our town,” Cascades head coach Jen Ross said. “They’ve been working very hard. 2018 marks the second season of the Canada West Women’s Rugby Sevens Series, which has been made possible thanks to Canada West’s partnership with B2ten and Rugby Canada. Through their joint support, which includes scholarship opportunities for players at competing institutions, B2ten and Rugby Canada are committed to helping Canadian female athletes pursue their athletic careers, including an opportunity to progress to the national team. The Canada West Women’s Rugby Sevens Series champion will be crowned Feb. 25 at the University of Victoria, as determined by cumulative series points. Be the first to comment on "UFV Cascades Women’s Rugby Hosting Canada West Sevens Series"